Written by: James M. Banner Jr. When I entered graduate school at Columbia University in 1960, two distinct expectations governed its history department’s faculty and students. One was that one group of its students, mostly even if not exclusively male, would proceed to the PhD degree and then gain academic employment. The second was that another group of students, primarily female, would gain their MA degrees, then move on to school teaching. I was part of the first group. And a professorship was my goal. In the 1960s, the academic ideal—the assumption that we were in graduate school in order to become academic historians—was the governing norm in most disciplines of the humanities and social sciences. Had you been unusual and expressed a desire to take your history PhD into, say, government agencies or museums, you would have met with skepticism and a reduction in esteem from the faculty and received little or no help in landing such a position. After all, few faculty members themselves had ever served outside the college and university world, save, perhaps, for temporary service in government during World War II. And so like almost everyone else, I gladly conformed to the academic ideal. Everything breaking in my favor, off to a university professorship I would go. And off I went, as did all my student contemporaries. No one had yet conceived of any alternatives outside the academic world as legitimate professional work for historians. What’s more, my generation of historians—a small cohort launched into the enormously prosperous post-war world to serve the large population coming up behind us—had no reason to search for extra-academic posts. With existing institutions bulging at the seams, new ones being created, and undergraduate students plentiful, academic employment was available to us all. That was soon to change—and the discipline of history, with much soul searching and adjustment, was to change, too. Over fifty years after I matriculated on Morningside Heights, all the conditions and assumptions that faced tyro historians in my days in graduate school no longer apply. All of us, and not just historians younger than I, have had to adjust our understanding of the discipline of history and of its structure, practices, and prospects. It has been a struggle but a formative and enlivening one. 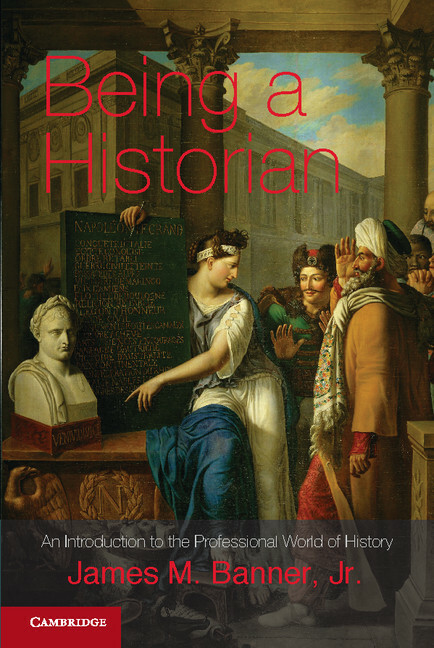 Since the 1970s, largely because of repeated academic employment crises and not (initially at least) because of any larger vision of history’s role in society, history departments have broadened their preparation of historians. Historians themselves have pushed hard and increasingly successfully to apply historical knowledge in other occupations and professions and to bring that knowledge to bear on public issues. Yet despite many effective efforts to alter the preparation of historians, the structure of history institutions, and the practices pursued by historians, no one has endeavored to assess where we’ve come in those 50 years, where we might still travel, and what we still must face. Being a Historian is my attempt to make that assessment. By implication if not main force, it’s a critical work, one that grows from my half-century experience as both academic and off-campus historian. It’s also an optimistic one. I strongly believe that the discipline of history—not only in the United States, which I know best and which this book alone treats, but elsewhere—is significantly better poised than it was when I entered graduate school to serve historians and the general public. It better prepares young people for their world of professional history. It works more effectively to protect historians and history’s interests in the public. It is much more sensitive to the possibilities of applying history to civic and other affairs. That said and as the book suggests, the discipline has further to go. In what ways? First, I think, in altering the history of the discipline we tell ourselves and our students. Historians now inhabit a discipline pursued in many occupations. It turns out, however, as new histories of the discipline are revealing, that practitioners of history, especially academics, always have operated to some extent beyond college and university walls. Yet we still too much tell only the old story of history’s triumphs in academic institutions and prepare our students to be academics. Once we broaden history’s story, we’ll broaden historians’ aspirations. Second, while we’ve gone a decent distance in offering preparation for what’s now known as public history, we haven’t gone far enough. We continue to distinguish between preparation for academic and public history as if they’re separate ventures, separate sets of occupations. They’re no longer so. We have to do a better job preparing young historians for the large professional world they’ll inhabit. We should be preparing them for the entire range of purposes they can pursue, the occupations they can follow, and the places in which they can practice. These days, each historian ought to be a “compleat” historian—deeply knowledgeable and widely practiced as both academic and public historian. Third and finally, there exist many issues—of ethics and standards, of writing and teaching, of the public service ideal, and, in my view the most important, of being true to oneself as historian—that historians collectively rarely take up. I like to think that this book will encourage them to do so and to move the discipline of history even further ahead than it has recently come. I’ll be a happy historian if that proves to be the case. About the Author: James M. Banner Jr.